478 S. King Street, Honolulu, Hawaii, 96813. Our WWI and WWII exhibits will be installed and displayed during the first two weeks of November, commemorating Veterans Day. See October 2018 entry for description. 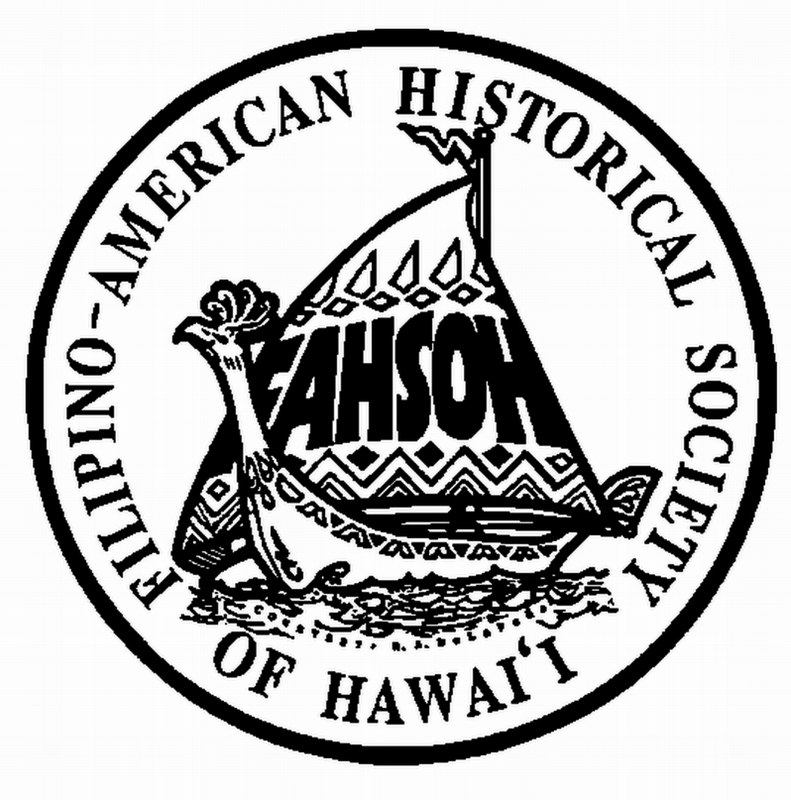 During the month of October (Filipino American History Month) FAHSOH's two Filipino veterans exhibits will be on display. 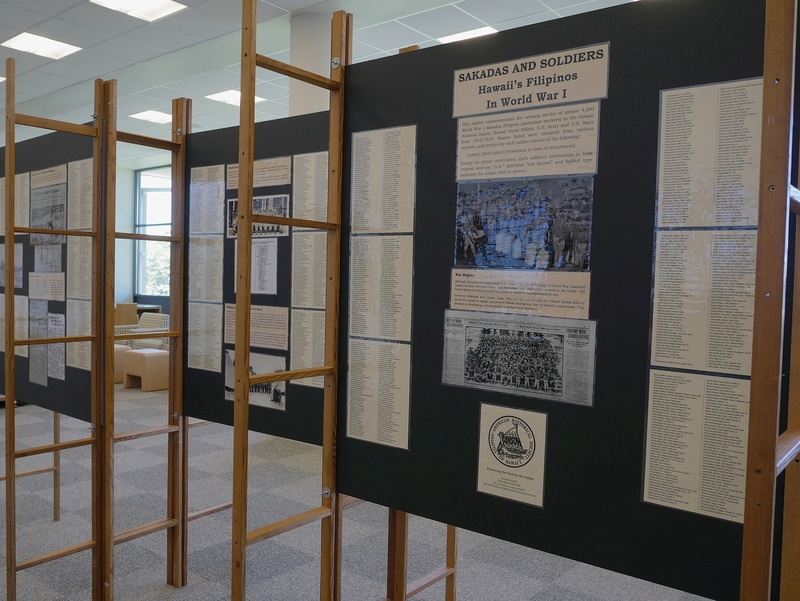 Our WWI exhibit describes the experiences of Filipino plantation workers who volunteered to defend Hawaii during WWI as part of the Hawaiian National Guard. Over 4000 Filipinos were recruited in the lead up to and during the war. 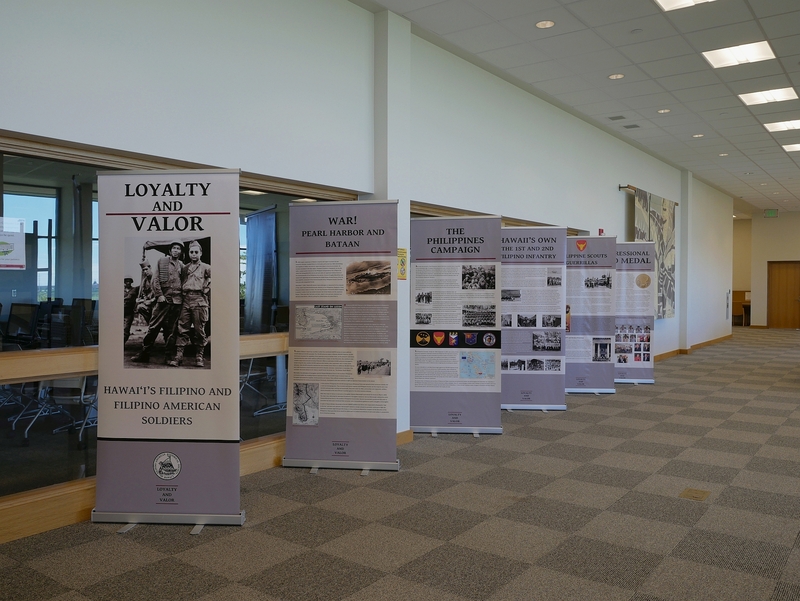 Our WWII exhibit covers the participation of Filipinos in the Philippine Campaign, especially as part of the First and Second Filipino Regiments, and the part Filipinos in the Philippines played during Japan's occupation. In both exhibits, the promises made and not kept by the United States and Hawaii Territorial governments are described. 2005 Kalia Road, Honolulu, Hawaii, 96815. 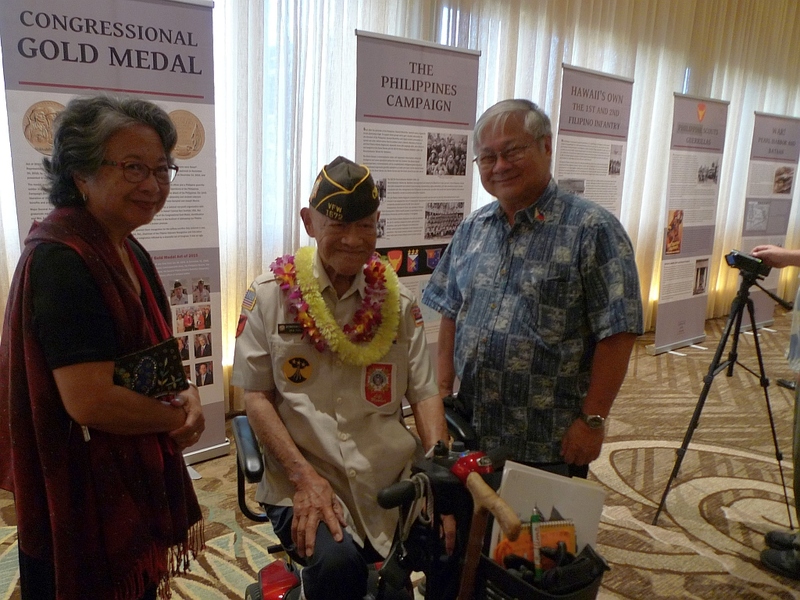 As part of the awarding ceremony for the Filipino Veterans Congressional Gold Medal, FAHSOH prepared an exhbit, "Loyalty & Valor: Hawaii's Filipino and Filipino American Soldiers." Exhibit will be shown at other CGM events and public venues throughout the year.